James Bollich was born on a farm near Eunice, Louisiana, on August 15, 1921. His heritage is German and Acadian; his mother was a Boudreaux. In August 1940, he left SLI to join the Army Air Corps. After participating in the famous Louisiana maneuvers at Fort Polk in 1941, he went to the Philippine Islands three weeks before the Japanese bombed Pearl Harbor. When the Japanese invaded the Philippines, the US and Filipino forces retreated to the Bataan Peninsula. There, they held out for four months until the food and ammunition supplies ran out, necessitating the surrender of 70,000 American and Filipino troops. The surrender was immediately followed by a 65 mile forced march with minimal amounts of rice and water, exhaustion, starvation, and atrocities and cruelty of the Japanese guards, resulted in approximately 12,000 deaths. History records this as the Bataan Death March. From there, Bollich was sent to a prison camp in Manchuria where he remained as a prisoner of the Japanese for 3 ½ years, until liberated by Russian soldiers in September 1945. Upon returning home, Bollich learned that two of his brothers died in the war. He returned to college, received a BS degree at USL, and continued his education in geology in New Mexico, Wyoming, and Australia on a Fulbright Scholarship. 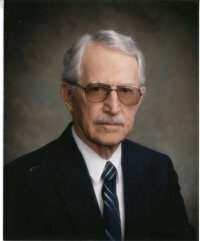 He worked in the oil industry for many years and retired as a senior geological consultant for Tenneco Oil Co. retiring in 1986. Bollich is a member of many organizations, including the Sons of the American Revolution, Sons of the Confederate Veterans, American Legion, Veterans of Foreign wars, Disabled American Veterans, Purple Heart and American ex-POWs. His military awards include President Unit Citation with two oak-leaf clusters, Bronze Star, Purple Heart, POW medal, American Campaign medal, Asiatic-Pacific medal with two bronze stars, Army Good Conduct medal, American Defense with one bronze star, WWII Victory medal, Philippine President's medal, Philippine Defense medal, Philippine Liberation medal, and the Philippine Independence medal. Bollich is married to the former Celia F. Hendren and has two surviving children, five grandchildren and five great-grandchildren. He is the author of 12 books, including Bataan Death March, A Soldier’s Story. His many hobbies include oil painting, stained glass, wood carving, pine needle baskets, soapstone carving, and fishing aside from being an avid reader and author.